We've got the weirdly relatable memes you crave right here, so step right up! C'mon, we both know you're not too cool to laugh at some silly memes. A Kardashian-Jenner is in the spotlight once again, and this time it's model Kendall Jenner, who posed for Vogue France in a massive red jacket. After her brother-in-law, Kanye's, boxy costume from the "I Love it" music video garnered endless roasts, you'd think that Kendall was nearly asking to be made fun of! These hairdos are absolutely tragic. We don't care if these poor souls requested these styles - no hairdresser with ethics should have turned these visions into a reality. It's officially been a very good week for drama, and it's no surprise that the drama involves notorious sht starter Azealia Banks. 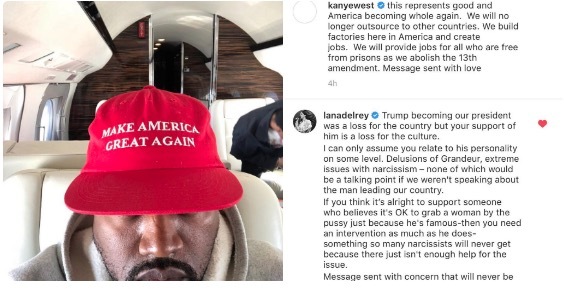 The rapper (and seller of intimate soaps) set her beef-hungry sights on pop singer Lana Del Rey after she criticized Kanye West's affinity for Donald Trump in an Instagram post. Banks took issue with Lana's denouncement of the rapper and took to Twitter to point out what she believes to be Del Rey's hypocrisy. "Wow okay Lana, this would be cute if you were consistent with your outrage and refused to collab with ASAP rocky who has physically assaulted women too. To me this just looks like the typical White woman taking using a weakened target to "pretend" to be an ally." A day later, on October 9th, Lana Del Rey responded in a way that surprised most people - she actually threatened to fight Banks, saying she wouldn't "not f**k" her up, and by telling her to pull up to her address - which Banks is already aware of. As would be expected, the feud has attracted tons of attention, inspiring memes, tweets, and a whole lot of metaphorical popcorn eating. We hope it doesn't escalate to real violence, but just like the people below - WE. ARE. HERE. FOR. THIS.